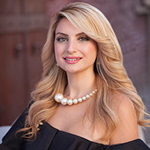 We at Mimi Nassif Luxury Estates Brokerage believe in supporting the local community where we live, work and play. We demonstrate the importance of our community by sharing our time, talent and resources to various committees and organizations throughout the Greater Sacramento Region. STAND UP PLACER: Empowering Survivors. Saving Lives. Saving lives by empowering survivors and educating communities to stand up to domestic violence, sexual assault, and human trafficking.